The 16-oz. cheese comes in a clear plastic package marked with a UPC No. 8-96211-00235-9 and an expiration date of September 19, 2017 stamped on the side. 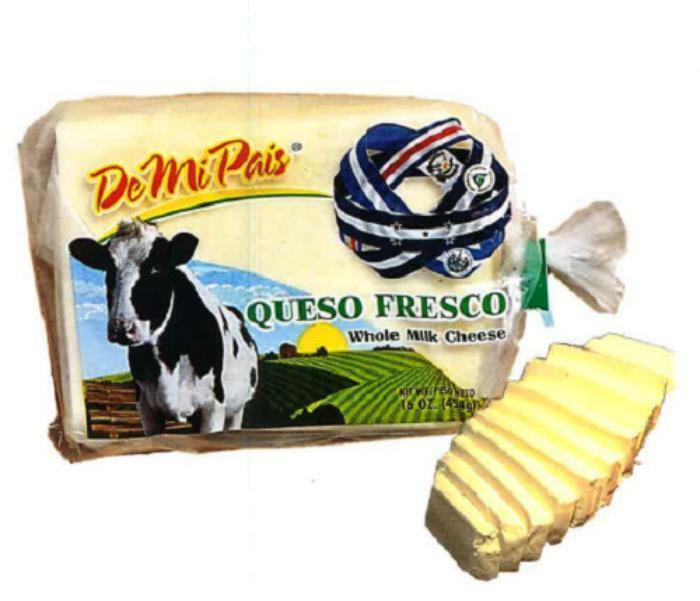 The pound (barra) cheese weighs around 5-6-lbs., comes in a clear plastic package with no UPC number and has an expiration date of June 17, 2017. The recalled products were distributed in Florida, Illinois, Kentucky, Louisiana and North Carolina. Customers who purchased the recalled products should return them to the place of purchase for full refund. Consumers with questions may contact the company at (305) 545-6305 from Monday – Friday. 8:00AM – 5:30PM (EST).